A commonly prescribed anti-psychotic medication called Risperdal has been found to cause breast growth in adolescent boys. The drug is produced by Johnson & Johnsons subsidiary Janssen Pharmaceuticals, one of the worlds largest pharmaceutical companies. Puberty is a difficult time of transition for young boys. When you factor in abnormal breast growth, the experience can be traumatizing. In many cases, the breast growth, called gynecomastia, does not recede even after Risperdal treatments are stopped. Surgery is often needed to remove the side effects of male breasts. 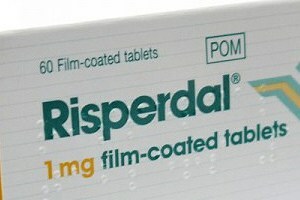 Risperdal has also been known to cause mutations, diabetes, physical disorders and even fatalities. These dangerous side effects have led patients to file lawsuits against the manufacturer of Risperdal. The dangerous drug lawyers at Goldberg Weisman Cairo are helping parents identify if their sons pain and suffering require a personal injury lawsuit. Risperdal’s side effects can be mild or deadly. On the mild end of the spectrum, the drug has been known to cause sleepiness, upset stomach and insomnia. More serious side effects can include gynecomastia, diabetes and heart attacks. Risperdal has been linked to diabetes because the drug causes blood sugar levels of patients to rise. Patients who are prescribed the drug, can become thirsty, experience vision problems and increased urination. These are all signs of Type II diabetes. Risperdal also contributes to serious weight gain in patients, further increasing the likelihood that they will develop diabetes.When young boys are prescribed a Risperdal regimen to address mental health issues, they can and have developed gynecomastia. Gynecomastia is a condition where the hormone that is responsible for breast growth is increased in male bodies. The hormone is called prolactin, and in men, this hormone is increased after using Risperdal. The drug causes enlarged breasts and significant breast tissue growth. Medical studies have revealed that more than 90% of Risperdal patients have increased levels of prolactin in their bodies. Aside from the diabetes and breast tissue growth, the drug has also been fatal for older adults who experience an increased risk of heart attack and stroke after taking Risperdal. The dangers of Risperdal have been recognized since 2013, when Johnson & Johnson pled guilty to federal criminal charges after admitting that the company offered doctors kickbacks to prescribe the drug to children. The company paid more than $2 billion to the federal government in fines and fees. A Philadelphia jury recently awarded a young man and his family millions of dollars because he developed breasts after taking Risperdal. At the civil trial, former employees testified that the company knew about the dangers of the drug and still encouraged sales people to visit doctors and hand out free samples. The drug was approved for use in children by the U.S. Food and Drug Administration (FDA) until 2006. But the young man had taken the drug since 2002 when he was only 7 years old. After five years on Risperdal, the young man developed 46DD breasts as he was going through puberty. Jurors found that Johnson and Johnson intentionally misled doctors, withheld safety information, and marketed a dangerous drug to childrens doctors. More than 3,000 Risperdal personal injury cases are pending all over the country.